The Left corrupt everything they touch. America’s colleges and universities are awash with Leftism. In the case of the University of Arizona (UA) in Tucson, a public, i.e., taxpayer-funded university, its president defended and protected students who harassed, stalked and publicly berated invited U.S. Border Patrol agents, calling them the KKK and “Murder Patrol”. 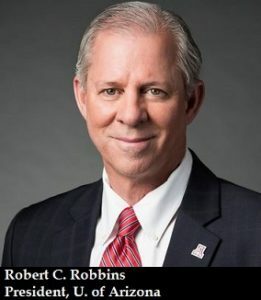 It was only when Judicial Watch, the Washington, DC-based citizen watchdog group, made a formal complaint that UA President Robert C. Robbins finally relented and acceded to having the students be “formally investigated” for potential violations of the UA Student Code of Conduct. 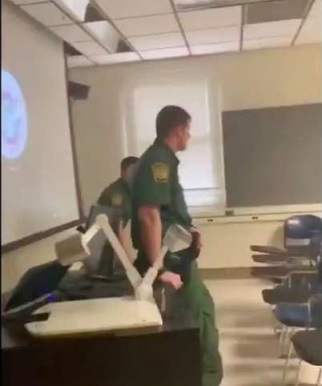 On March 19, 2019, as part of University of Arizona’s Career Day, two U.S. Border Patrol agents were invited by the university’s Criminal Justice Association to give a class presentation. As recounted by Judicial Watch, during the Border Patrol agents’ presentation, a student named Denise Mureno-Melchor, a Mexican-American studies major, disrupted class and yelled “Murder Patrol” and profanities in Spanish at the agents, likening the agents to the notorious hate group Ku Klux Klan. Shouting “Murder Patrol!,” she followed the agents for nearly a minute as they walked down a hallway and outside the building to the parking garage. In a video, recorded on her cell phone, Mureno-Melchor proclaims that there are “murderers on campus” as the camera pans on the two Border Patrol agents. “We have the KKK and their supporters here at the U of A,” she says, referring to fellow students in the classroom. Judicial Watch held Robbins’ feet to the fire, calling on him to do his job as president by enforcing the Student Code of Conduct. The complaint listed the specific policy that Mureno-Melchor’s behavior appeared to violate, Policy 5-308 of UA’s code of conduct, which clearly states the following: “The educational process is ideally conducted in an environment that encourages reasoned discourse, intellectual honesty, openness to constructive change, and respect for the rights of all individuals.” Judicial Watch’s complaint further points out that the same policy also defines code of conduct acts demonstrated by Mureno-Melchor. The acts include but are not limited to: endangering, fabrication, stalking, causing reasonable apprehension of harm or engaging in conduct or communications that a reasonable person would interpret as a serious expression of intent to harm, unauthorized presences, engaging in discriminatory activities, including harassment and the commission of any offense prohibited by state or federal law or local ordinance. In a vicious attack on free speech last week, three University of Arizona (UA) students were arrested and charged with criminal offenses for verbally “disrupting” a career fair featuring US Border Patrol agents. Denise Moreno Melchor, a 20-year-old University of Arizona student, alongside fellow students Mariel Alexandra Bustamante, 22, and Marianna Ariel Coles-Curtis, 27, have all been charged by the UA Police with a Class 1 misdemeanor for “interference with the peaceful conduct of an educational institution.” In Arizona, a Class 1 misdemeanor is the most serious misdemeanor offense. It is punishable by up to six months in jail and three years’ probation, along with a $2,500 fine plus surcharges. UA’s police will also conduct an investigation to uncover more potential criminal violations. Additionally, UA’s Office of the Dean of Students will finally review the students’ potential violations of the Student Code of Conduct, which could result in academic sanctions. 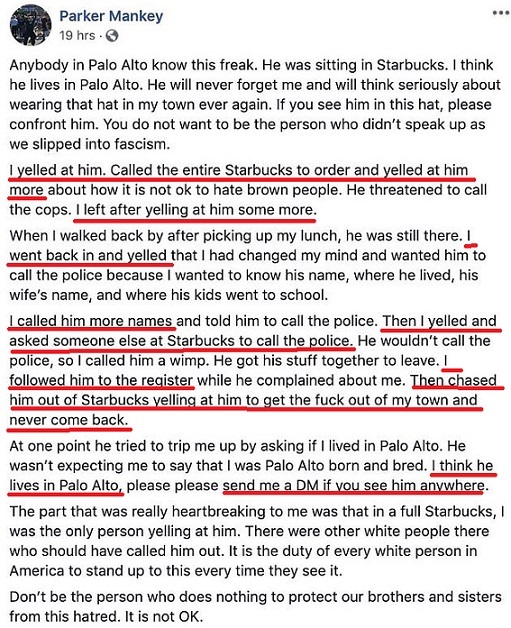 On Monday, April 1, 2019, at a Starbucks coffee shop on California Ave. in Palo Alto, California — home to Stanford University — a woman with Trump Derangement Syndrome (TDS) went berserk at a 74-year-old man because he was wearing a MAGA (Make America Great Again) hat. 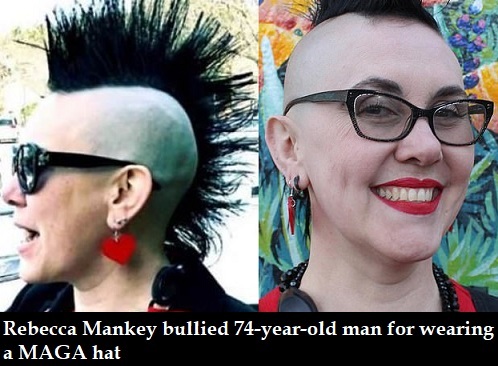 The woman, Rebecca Mankey, repeatedly screamed at and publicly shamed the elderly man. 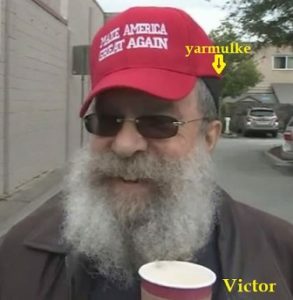 The Daily Mail reports that Victor said the woman also called him a Nazi, which is ironic because Victor is Jewish and was wearing a yarmulke under his MAGA hat. 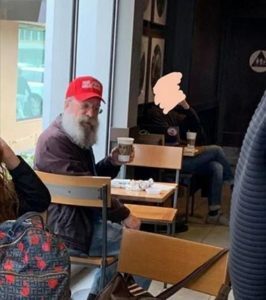 The woman, Rebecca Mankey, took a picture of Victor inside Starbucks and posted it to her Facebook page (which is now deactivated), with a tirade, calling on others to confront Victor if they see him. Mankey was employed as an office manager at Gryphon Strings, a guitar sales and repair shop. Gryphon does not believe anyone should be harassed or subject to hate speech no matter their beliefs. Music has historically been something that has brought people of diverse socio-political backgrounds together. We would like to make it clear that the opinions expressed and actions taken by the employee are not indicative of how we conduct ourselves at the shop and we hope we can continue to serve our customers across the country respectfully and universally as we have done for nearly 50 years. We’ve always felt that Gryphon was the equivalent of kind of a musical town square for the community. And we welcome people of all views. According to KTVU, Mankey’s defenders blamed Victor’s MAGA hat as the ignition source for the conflict. Palo Alto police say Victor has not contacted them about what happened and therefore, they don’t have proof of a crime. Mankey did contact the police department, alleging she’s received threats because of her social media posts. Mankey should be charged with hate crime and elder abuse. Rebecca Anahid Mankey, aka Rebecca Parker and Parker Mankey, 46, lives in Palo Alto (as she herself said). She has a B.S. degree from San Jose State University, and some graduate training in accounting. Although she is a public bully, she has taken down all her social media accounts (Facebook, LinkedIn, Flickr).